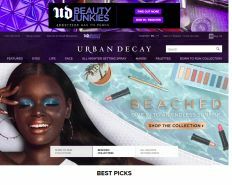 Urban Decay is a Canadian cosmetics brand that is a subsidiary of French cosmetics company L'Oréal. There product line includes nail, lip, and eye colours, as well as various face and body makeup products. Get 10% Off when you sign up for newsletter.